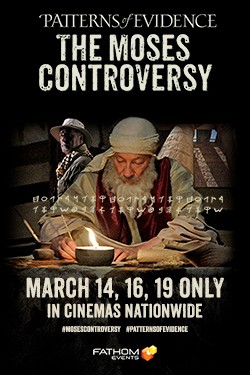 Timothy Mahoney, the award-winning investigative filmmaker of Patterns of Evidence: The Exodus sets off to make his next film investigating the miraculous journey of the Israelites out of Egypt under the leadership of Moses. Little does Mahoney realize that the investigation will change coarse when he begins to uncover a new pattern of evidence linking the Israelites to the world’s first alphabet. Was this simple tool a divine gift necessary for the Israelites to read, understand, and pass on the words given to Moses by God at Mt Sinai? Patterns of Evidence: The Moses Controversy reveals amazing new evidence connected to Moses’s ability to write the first books of the Bible and why most mainstream scholars are blinded to that possibility today.